Hey food lovers! I’m calling for you today so we can talk about the most essential thing in life, which is of course, food. 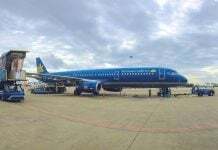 But this time, it’s going to be special as we are here to discuss my one and only hometown, Pleiku. I still remember the very first time my father took me to a local noodle restaurant that I later learned went through more than five generations in their family. I was around six years old at that time, struggling with tears to convince my father to let me stay at home instead of going to school. Still, he held me in his arms anyway and we drove to have breakfast before my nightmare began. But I didn’t see it coming. Who could have guessed that a bowl of pho made me forget all about what I just said to my dad and just like that, I finished wiping my eyes and started wiping my mouth. This legendary pho restaurant is in Pleiku, which is the capital city in Gia Lai province and located in the central highland of Vietnam. It is one of the regions that is inhabited by many ethnic groups, which resulted in a vast cultural diversity among these communities. 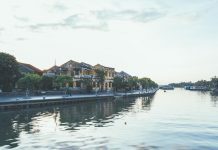 Authorized as the capital city, Pleiku is considered the most urban town of the whole province, but we can still see many ethnic villages across the city and an ample bond between city dwellers and those indigenous groups. And, it is my hometown. Having spent one-third of my life there, I know every single detail about Pleiku and what makes this city special. Things to do, places to visit, what to eat, you name it, I know it. And today, I take the age-old topic: food. 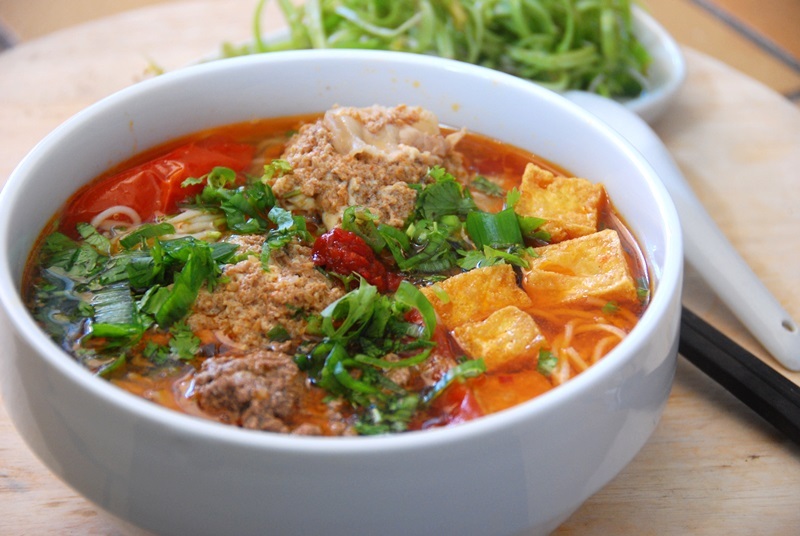 Many of you may be familiar with the widespread fame of Vietnamese noodles – pho, a hot bowl of noodles with nicely cut slices of beef or chicken on the top and nourishing soup to balance out the starchy nature of the noodles. Here in Pleiku, we use a whole different set of ingredients for this dish, which I believe has become most symbolic in this small town. The noodles are smaller in size, yet have a tough texture and bear a strong resemblance to Saigon’s famous local food hu tieu. However, Pleiku-ers have added quite a number of details to this dish and made it one of the city’s food culture highlights. It will be served as two separate portions: one bowl for noodles with ground meat and fried onions on top; the other for broth with deliciously rare beef slices, and of course with a plate of fresh vegetables and herbs included. Before becoming amazed by its delightfulness, you have to take a few steps which are rather simple and easy but have extreme power to boost the taste. For the noodle bowl, add soy sauce and chili paste to season it yourself, but be careful with the soy sauce, it can be salty depending on the brand. Then mix them together so the noodles can sufficiently absorb the seasoning. For the soup part, just squeeze some lime juice into the broth. You must know one more important thing about this dish. You’ll dip the beef in Pleiku-style black soybean paste, and this is what makes one pho kho restaurant stand out from the crowd of numerous places in the city. As long as the bean paste is extraordinary, other elements of the dish can be compensated and therefore the dish’s quality won’t be badly affected. Now after you’re done with this process, raise your chopsticks and start enjoying! This dish has an extremely distinct and recognizable smell that will either make you fall in love with it or simply help you build an urge to vomit. Similar to the fabulous durian, if you love it, you love it; but if you hate it, you might as well put the whole area in quarantine. People in Pleiku have even developed a saying: “the smellier it gets, the better it is”. So I have to say this dish is tricky, yet to be called a Pleiku visitor, you have to add bun cua to your list. The main ingredient is freshwater crab, however, do not expect nicely cooked crab on the top as its name may fool you. What you should expect is a brown black soup after those crabs are ground and gradually stewed with spices. 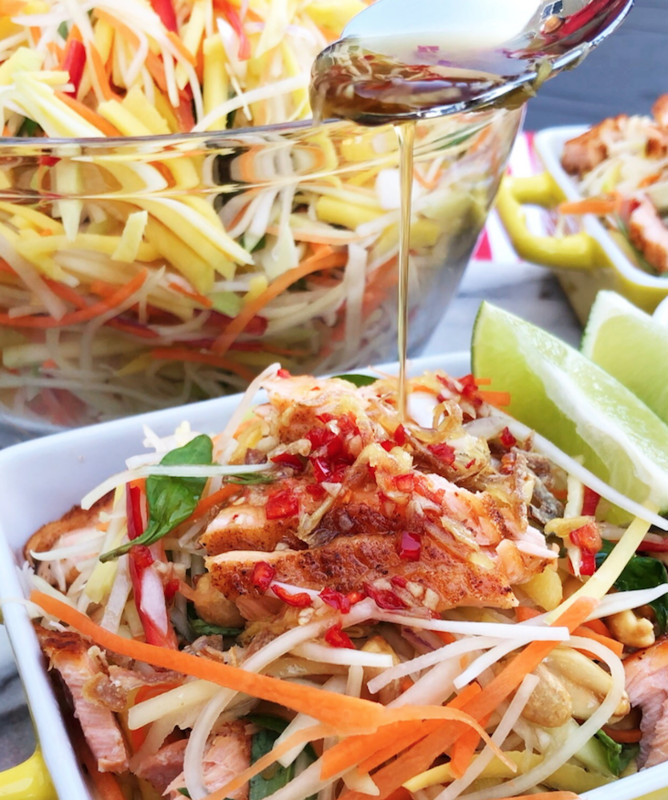 This special dish is also served with bamboo shoots to stabilize the bold flavor with fresh vegetables on the side like many traditional Vietnamese meals. Just when you think you have had enough of bun cua, a handful of crispy fried pork rinds will change your mind. They are often put on top of a freshwater crab vermicelli bowl to balance the smell and maybe, unleash your eating spree. Here are some tips for you to enjoy this dish to the fullest. Do NOT dress in white clothes. This is essential. Let’s just assume you love bun cua like me, you might also love going home with a washable stain if you drop some soup on your shirt. Refrain from wearing lipstick. Trust me, there’s no need to be beautiful when you’re having this dish. Everyone else may as well be focusing only on their own bowls. Bring chewing gum or mints along to keep your breath fresh again after enjoying bun cua. 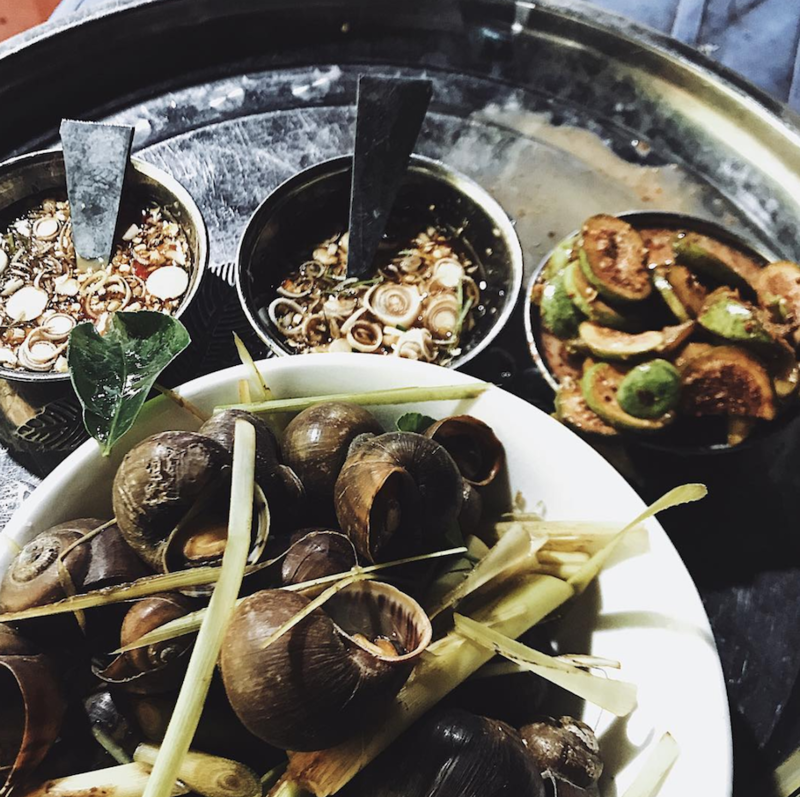 Escargot is actually a dish cooked from snails and considered a delicacy in Western countries, but when it comes to Pleiku – a small town in the middle of Vietnam, escargot is well-known as a tasty street food. As fancy as it gets in France or Spain, escargot in Pleiku is more affordable yet delicious to many diners. Going to our favorite braised escargot house with my friends after school is one of my sweetest memories of high school. What could have been more enjoyable than having a mouth-watering dish and talking nonsense to your friends, right? 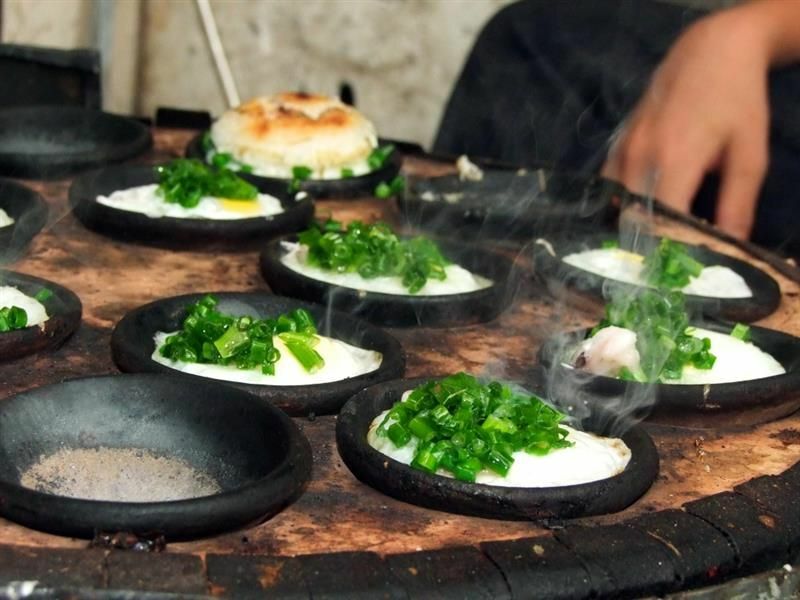 Of course, there’s a reason for young Pleiku-ers’ special love for this type of street food. It is made from escargot braised with lemongrass and chili, with the goal to substantially remove the regular fishy smell of seafood. The soup produced after is heavenly, a gentle combination of a little spiciness from the chili, a stocked aroma from the lemongrass and the essence from cooked snails. These flavors come together so well and if dipped with its exclusive ginger sauce, it can release any stress you’re experiencing. So, don’t forget to try this dish when you have a chance to visit my hometown! You have to use your bare hands to pick out the snails from their shells, so make sure to wear plastic gloves if you want your hands to stay clean. Use empty shells to scoop the delicious soup instead of a spoon. There you go, eat like a local! This particular dish is usually associated with braised escargot because it is also served as a snack in the late afternoon, so street food vendors in Pleiku often sell these dishes together. Its main element is raw papaya, chopped into small strips in order to soak up the fish sauce as seasoning. I have to say this dish’s highlight is the savory liver, which is carefully braised with only Vietnamese regular spices but is the best topping I’ve ever tried among Pleiku’s street foods. This salad also has crushed peanuts and some herbs to decorate and enrich the flavor. 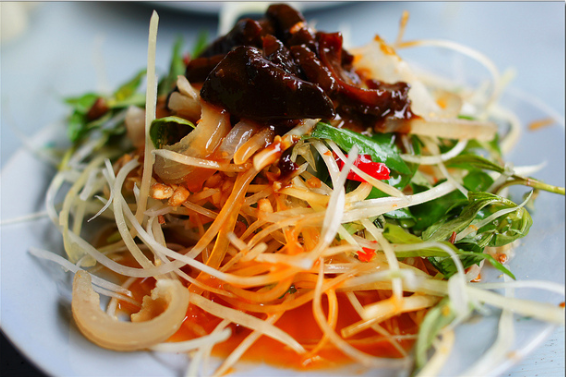 Papaya salad is a fairly spicy dish, so if you can’t have spicy food, remember to request this in advance. Or else you’ll end up cursing and enjoying the dish at the same time. I remember I was in real tears once when I was eager to beat my sister’s challenge to try the same spice level. Mistakes were made. But I still enjoyed it. Try it yourself in one of these places and you’ll see what I mean! Opening hours: 12 PM to 9 PM. 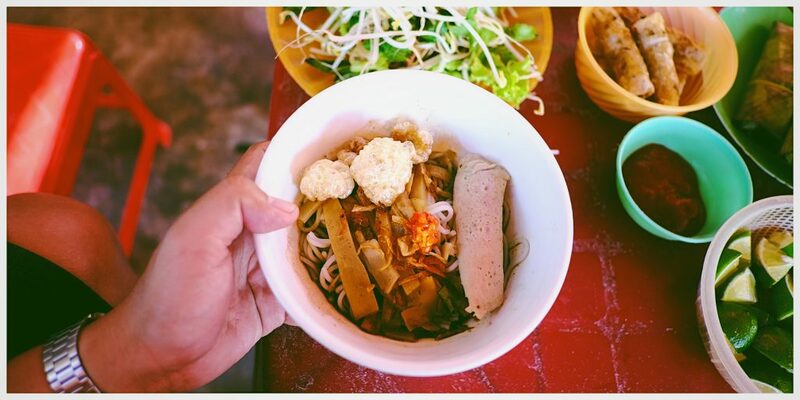 You’ve come to know the famous late-afternoon snacks in Pleiku city, so now, may I present you a wholly protein-packed dish which can satisfy any empty stomach out there. Behold… the meatball vermicelli with pork trotters! This special fish sauce has a strong smell and as a matter of fact, it is traditional and well-known in Danang or Hue city, which is located in the upper part of the Central Highland region of Vietnam. If you plan to visit these cities, you’ll find more cuisines accompanied by this sauce and it naturally adds a very distinguishable taste to each dish. And it certainly has the same effect on banh khot mam nem. 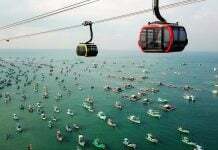 The smell is not as vivid as freshwater crab soup, but it’s sure to make you never forget it. Besides its service to your hungry stomach, you can also visually enjoy the whole process of making these pancakes; as this dish is served hot so they are made right in front of you. Cooks will pour the prepared flour into a mini pancake pan and add chopped meat or shrimp on top. This requires a special skill set in order to cook the pancakes properly and serve enough orders at the same time. Surprisingly, the cooking process is entirely done in a charcoal oven, not an electric or even gas oven. The constant and stable heat from such an oven is efficiently suitable for making those lovely pancakes. Wait up, there’s still one more thing to make if you want to try this dish! It is really inexpensive considering the amount of food you can get in a standard portion. 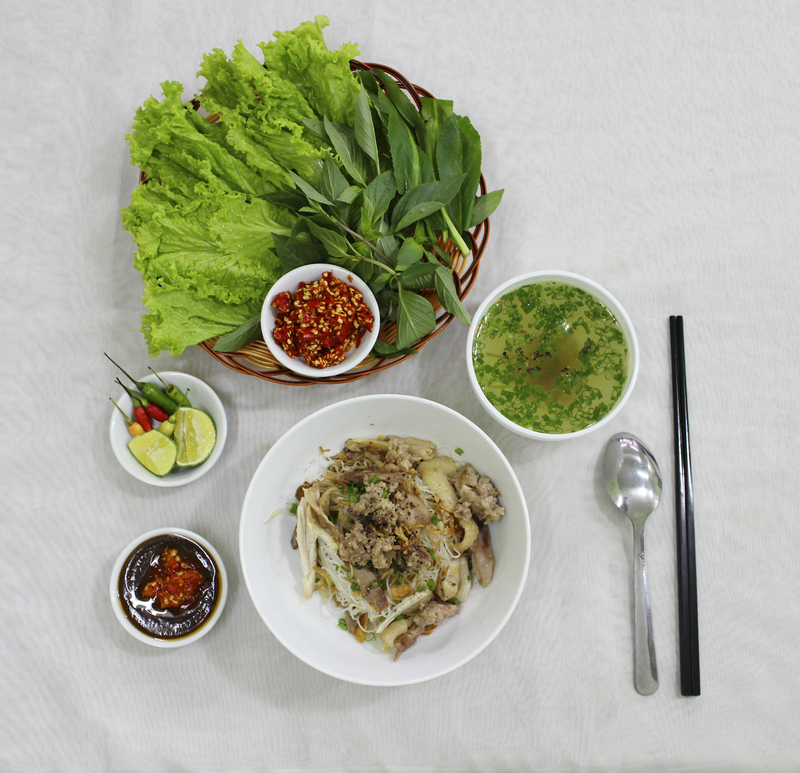 With just around 25,000 VND, you can proudly leave the place with a happy stomach. Quite a competition with meatball vermicelli, right? Oh how I love my hometown and its colorful food culture! 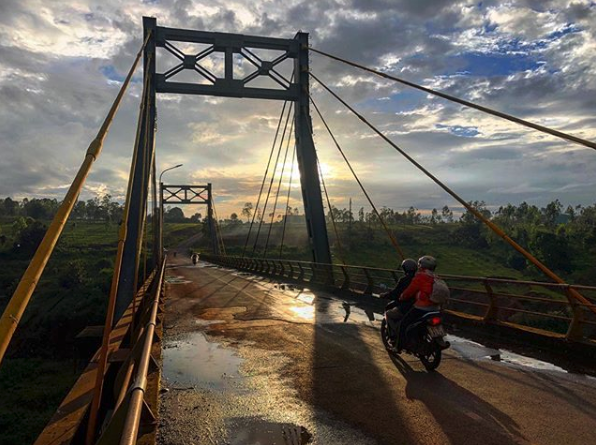 Pleiku is indeed more than just a city to me, and today I shared with you what I adore about this city. Come pay it a visit and tell me what you think!